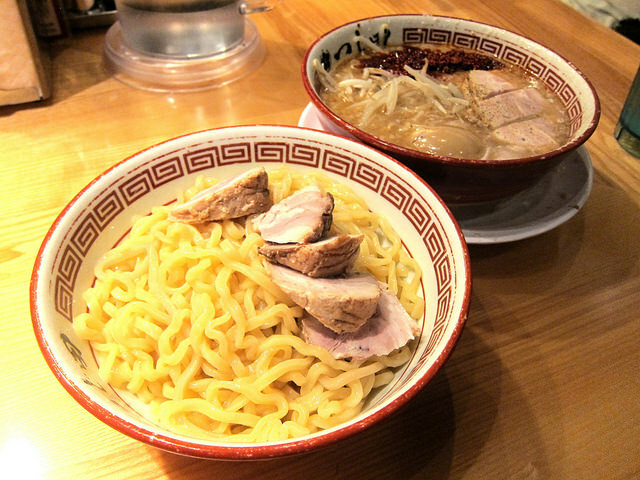 When Tsujita came on the scene, legendary long lines kept me away from trying this ramen and tsukemen shop. Then they opened an annex shop across the street. I still didn’t make it in. Lines were still pretty crazy. Just recently they added to their empire by opening a sushi shop. That’s it, it’s time to try the ramen and then eventually the sushi-ya. We went to the Annex hoping for a short line. It was short. Well, if you think 20 minutes is short. They took our order so it would be ready when we were seated. I opted for the ramen with chasu (pork). My friend had the tsukemen, the so-called dipping noodles soup. My ramen was sitting in the most fatty, unctuous broth I’ve ever had. And I love Daikokuya‘s broth, sometimes I even ask for the extra fatty back fat broth. Tsujita blows Daikokuya out of the water in terms of fatty globs slicked broth. Hell, I wouldn’t even call it broth. This thing is primordial soup. The chasu were thick pieces and the only relief from this rich meal were the generous bunch of bean sprouts. I also had added a soft boiled egg. Not that you need it but I like an egg with my ramen. I added some spice and and set to work. And didn’t get very far. I had to take my leftovers home. I’m so glad I got the small bowl. 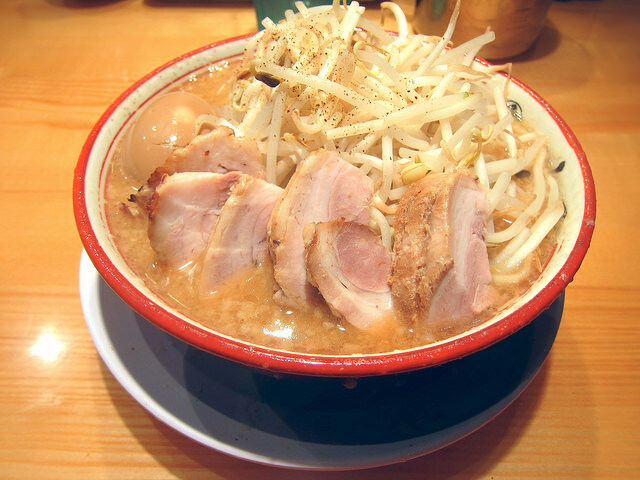 As for the tsukemen, I can see why some would prefer this style of noodles. You can control how much fat you’re eating and have soup when you want it. But I like hot food so even in the dead heat of summer, I will have soup. Still, the tsukemen was a better deal. You get the egg, lots more pork and the spice is already added. My ramen seemed more DIY. I can’t wait to try the sushi next!